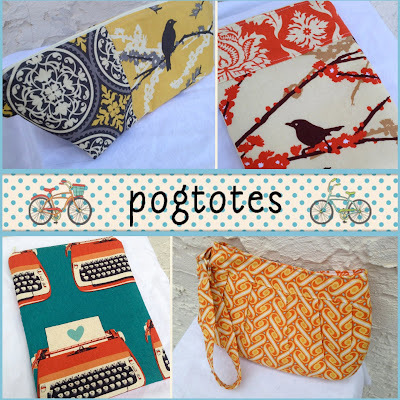 Sponsor love & PogTotes giveaway! Meet Mary, one of my fabulous March sponsors and the owner of PogTotes, an adorable handmade shop in which she designs and creates coin purses, e-reader covers, makeup bags and more! Don't forget to enter the amazing giveaway at the bottom after the interview! Hi! My name is Mary, and I am as 31-year-old Kansas girl, now living in Saint Paul, Minnesota. I moved up here in 2005 to go to law school, and proceeded to meet my husband, Paul. I turned around one day and realized that I had a husband, two dogs, a house, a job as a litigator and admittance to the Minnesota Bar - so I guess I am staying here! 2. You own/work for an awesome company, huh? Do tell! Also, how long have you been involved with this company and in what capacity? About a year ago, things went a *little* topsy-turvy when I had a really bad headache, and it was discovered that I had a very rare type of brain cyst. I ended up having brain surgery on March 24 of last year. One of the side effects is that I had speech and grip/coordination defects, along with some neurological problems. I exhausted all the therapy available, but was still in no way able to work as a litigator, (I essentially write like a young child - and it takes me forever to do so!) As a result, I was placed on long-term disability, and I am hoping that things will get better with time, It takes up to two years to fully recover from brain surgery. However, I am in no way used to not doing a million different things. Therefore, late last summer, I decided to start up PogTotes. I really liked sewing, and I am obsessed with fabrics. I figured my little Etsy adventure would give me something to do (and an excuse to buy insanely cute fabrics). At first I mostly sold to friends and family, but I have started getting sales to "strangers" in the last few months. It's pretty exciting! And, in case anyone is wondering, a "Pog" is my dog - who rolls around and grunts like pig. Pig Dog = Pog! 3. What are your favorite items and what would you recommend to others? I just love my little coin purses. The lobster clips just make them so handy, and they are big enough to fit smart phones, cards, coins - a great way to stash the essentials if you don't want to carry a purse! My eReader cases have definitely been my best seller. 4. A giveaway, you say? Yes! 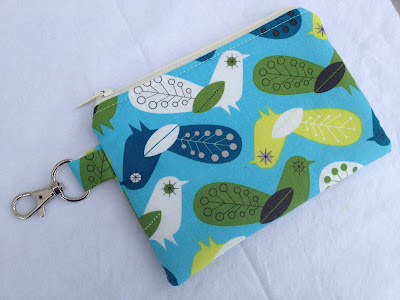 I would like to giveaway two of my coin purses, of the winner's choice! To enter the giveaway, simply visit PogTotes and then come back and tell us which coin purses you would pick if you won! Ready to just place an order? Use code JENNI10 for 10% off! This giveaway ends on March 31st and the winner will be announced shortly after! Good luck! I love the Pink & Orange birds and Pretty Pansy! I love the Pink, Orange and Yellow Owls and the Meadowsweet coin purses! These would be perfect for work! I love the Space Invaders and the Viewfinder coin purses! These are so cute! I love the Robots and the love letter typewriter ones. They are all adorable! I love the teal birds and owls! I would get the owl print! I would choose the yellow and gray aviary and the pretty pansies one. They are adorable! I love the colorful owls - how can you not laugh at those big eyes! too cute! and what a cute gift they would make! i'd have to go with the yellow and grey aviary and then the love letter typewriter. thanks for hosting! I would pick the Pink, Orange and Yellow Owls Zippered Pouch - too cute! I love the whale one. I love the bright floral! It's hard to pick just one! I like the sweet meadow and my 2nd choice would be pink and orange birds or maybe pretty pink flowers--tough decision! 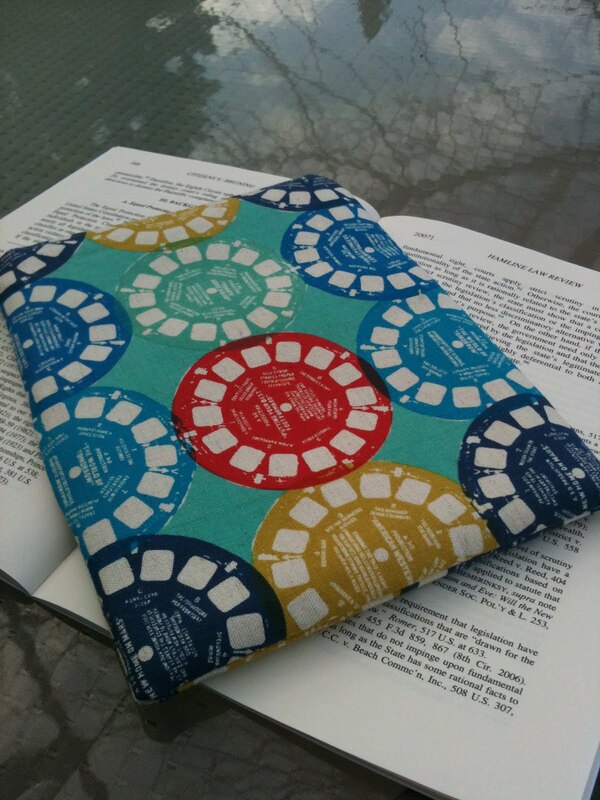 I like the love letter typewriter zipper pouch! Super cute! They are all so cute! I would choose the meadowsweet and the little scotties. So many adorable prints! The elephants and crazy snails are my favorites! I love the colorful owls!!! Way cute!! So many adorable ones to choose from! I really liked the Drangonfly and Colorful Owls...but it was hard to pick just two! I love the green and pink flowers! Those are so fun!! The Pink & Orange Birds, Bermuda Chicks, or Colorful Owls are just too darn cute!